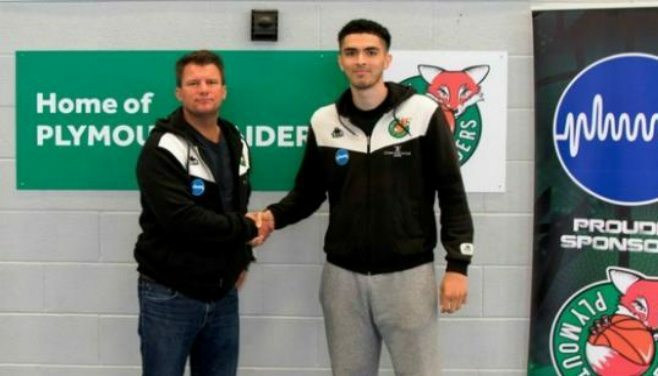 Louis Sayers has been named as the first player to sign for Plymouth Raiders in the new era under Directors Ross Mackenzie and Richard Mollard. Small Forward Sayers started his professional career with two seasons at Plymouth Raiders in 2013-14 and 2014-15 and now returns to the club after seasons away at BBL club Leeds Force in 2015-16 and Koblenz in Germany’s Regionalliga in 2016-17. Last season, 25 year-old old Sayers shot a career high of 13.3 points per game; with 59% success from the field, 39% from three-point range and 89% from the free throw line in 30 minutes per game. Head Coach , Gavin Love said: “I’m really excited to have secured Louis and to be bringing him back to the club. “Louis is coming into his prime as a player now and, building on his success in Germany last year, I know he has much more to give this season and beyond. Meanwhile Sayers said: “When I first arrived in Plymouth 4 years ago, I immediately fell in love with the city and the fans here. Raiders Director, Richard Mollard added: “We’re delighted to be able to make Louis our historic first signing in this new era. Having a player of his ability and youth to build the new club around, coupled with the fact he was such a popular player in his previous time here, made his signing a high priority for us.